Taking a stroll around the gardens at Lembeh Resort is like taking a tropical walk back in time. You’ll find that our mature gardens are bursting with greenery and some trees are hundreds of years old. Alongside fruits, vegetables and spices you’ll find beautiful flowers, butterflies and an array of unique critters. Critters don’t just exist underwater in Lembeh, there are some spectacular species of critters in our gardens too. Extensive gardens and forestry, such as those found around the resort, do not happen all by themselves – they need a helping hand. Our Head Gardener, Alfius Makaunde, has been with us for 18 years. When Alfius started work in our gardens he quickly fell in love with the diversity, maturity and unique flowers that grow around the resort. Alfius is from one of our local villages, Pintu Kota Besar. Here is his story……. 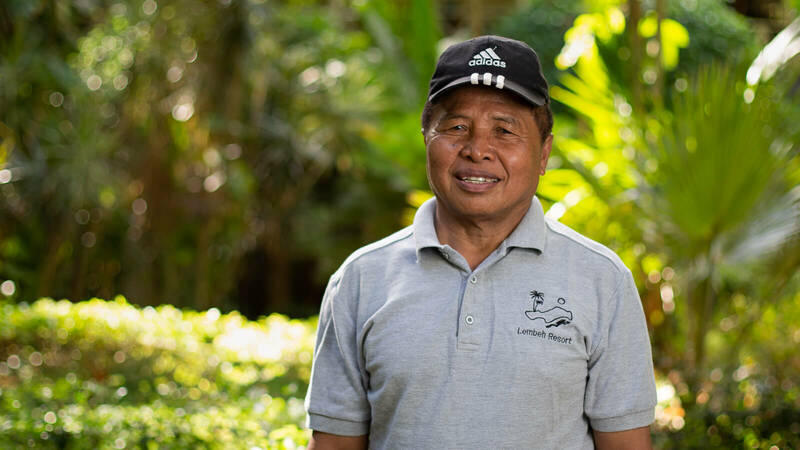 Alfius started at Lembeh Resort in the year 2000 as our Head Gardener, he has been with us from the very beginning. Alfius has three children who are aged 40, 37 and 25, and he has 4 grandchildren – all of whom live in his home village of Pintu Kota Besar. The extensive gardens at Lembeh Resort are carefully managed by Alfius, who now oversees 6 other gardeners. Alfius is currently engaged in developing many species within the gardens to create even more variety. Alfius’s passion for plants and the growing of herbs and spices is long established. His current projects include transplanting flowers found in the Minahasan Highlands, where the Tomohon Annual Flower Festival is held, to here in Lembeh. Alfius says that, “Different flowers and trees need different climates. It’s interesting to see what more beautiful flowers we can bring to the Lembeh. All species in Lembeh Resort are native to the region and that’s what makes the gardens here so unique. Adding more native species is a passion of mine. A garden is never finished”. One of the highlights of Alfius’s job is when guests comment on the gardens – it gives him a great sense of pride. 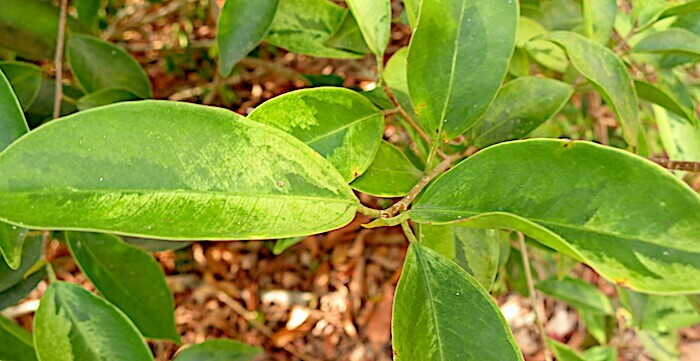 One of the comments he regularly receives from guests is about the Pohon Beringim tree which produces two colored of leaves (pictured above). 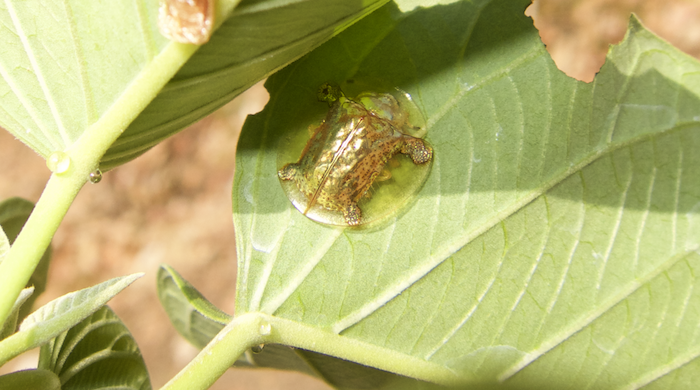 Alfius also mentions that another special find for guests is the “Kumbang emas”, this is a unique critter which can only live on a certain plant type which Alfius carefully maintains. This beautiful insect (which translates as “the gold beetle”), lives on the underside of the leaves on it’s host shrub. 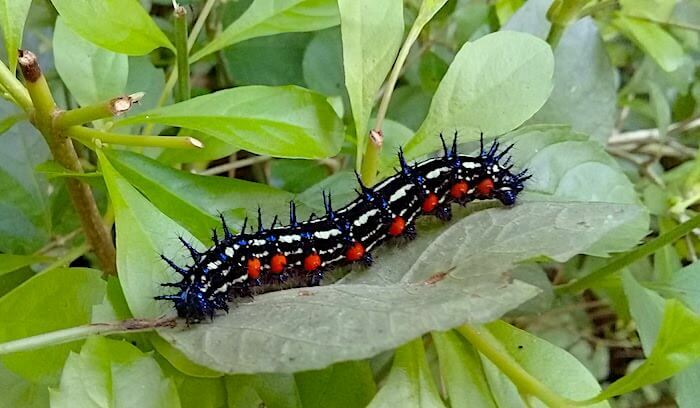 As well as the gold beetle, Alfius finds a plethora of other critters around our gardens including vibrant colored caterpillars, lizards, birds, butterflies, praying mantis and tarsier monkeys. 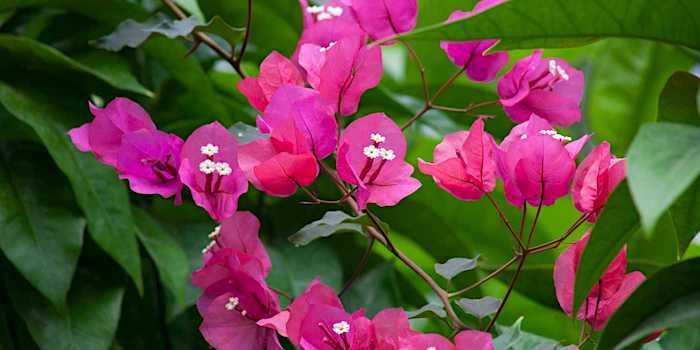 When asked about his plans for the future of the gardens in Lembeh Resort, Alfius says he wants to maintain their natural beauty and plant more bougainvillea (pictured below) so guests will see even more color upon their arrival. 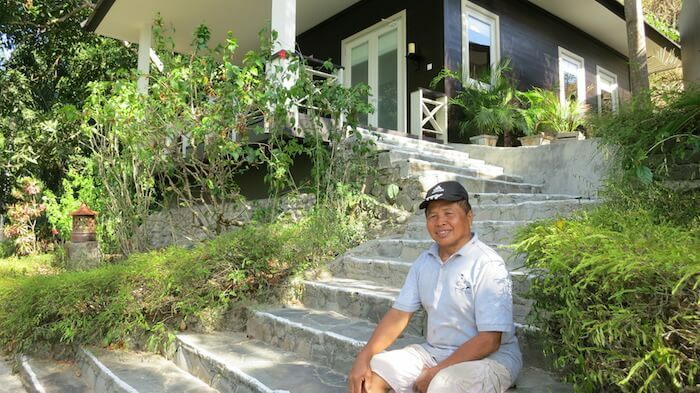 Alfius does not have a garden at his home; he says that the resort gardens are like his own and he hopes to continue to make Lembeh Resort have the best gardens in Lembeh. If you’d like to learn more about the tropical fauna we have here at Lembeh Resort, take a walk around the gardens – you may even meet Alfius himself. 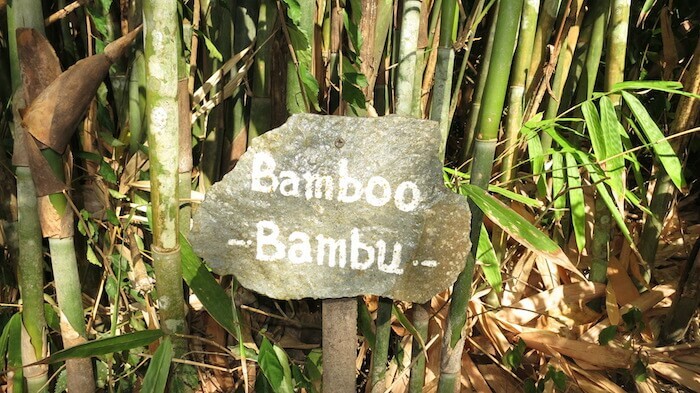 Many of our trees, shrubs and flowers have plaques located at their base so you can identify what you are seeing as you go along. We look forward to welcoming you to our beautiful Indonesian dive resort soon.